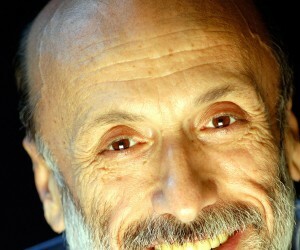 Carlo Petrini has been described as that rarest of creatures, a successful revolutionary. 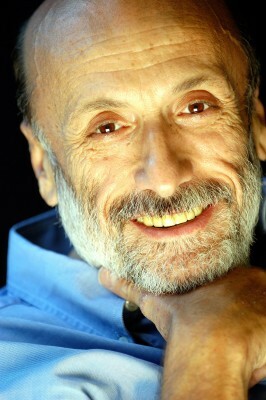 Petrini is the founder and guiding light of the global Slow Food Movement, which he brought into being 27 years ago following a protest against the opening of the first McDonald’s in Italy. It is thanks to his continued and concerted efforts that a growing movement of people believe that we can reduce both hunger and obesity while improving the quality of food, the life of farmers and the impact of agriculture on the environment and health along with real cooking, taste and pleasure. Around the globe Petrini has become a man to be listened to on all of these subjects. Recently he was made Special Ambassador Zero Hunger for Europe by The Food and Agriculture Organization (FAO) of the United Nations, a UN agency that leads international efforts to defeat global hunger by 2030. Petrini will be coming to South Africa from August 11 to 17 where he will be hosted by the Slow Food Johannesburg and Cape Town Convivia who this year made the pledge to create 10 000 food gardens in South Africa which so impressed Petrini that he decided to visit the country and visit some of these gardens. Since 2010 Slow Food has been creating a network of gardens to save Africa’s extraordinary biodiversity. Its dream: creating 10 000 gardens in African schools and villages with the aim of guaranteeing good, clean and fair food for communities and making them aware of the value of their land. This means not only raising awareness among a young generation about the importance of food biodiversity and access to healthy, fresh food, but also training a network of leaders aware of the value of their land and their culture who can serve as protagonists for change and the continent’s future. The SA Convivium of Slow Food took it upon themselves to achieve this number in South Africa alone. Says Petrini: “Slow Food has set three main strategic objectives on which the organisation is going to work in the following years: 10 000 products in the Ark of Taste, 10 000 Gardens in Africa and 10 000 Convivia and Food Communities. These goals represent the Slow Food commitment to protect and save biodiversity and to build an African network of young leaders. The goals also aim to strengthen the Slow Food and Terra Madre network globally in order to let people from all over the world to have access to good, fair and clean food. “I am looking forward to coming to South Africa. Slow Food believes that the slow trend could feed the South Africa population, since it encourages the local production of food, particularly in ways that also protects local heritages, including knowledge and artisanal skills passed down through generations,” he continues. Petrini will be visiting both Gauteng and the Western Cape and visiting a food garden in Soweto. There will be a media conference at Clico Boutique Hotel in Rosebank during his stay.